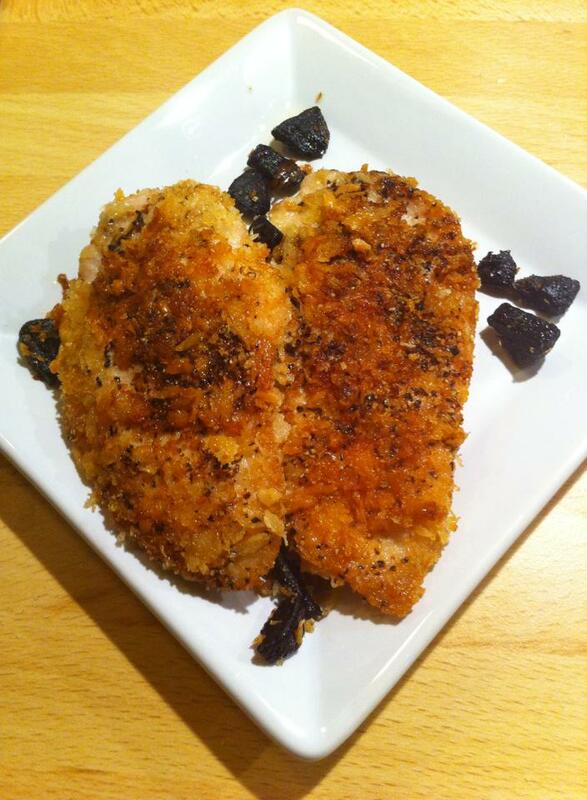 Parmesan + Black garlic + chicken + Panko + Long Pepper = Chicken Piccata with black garlic and Long Pepper. 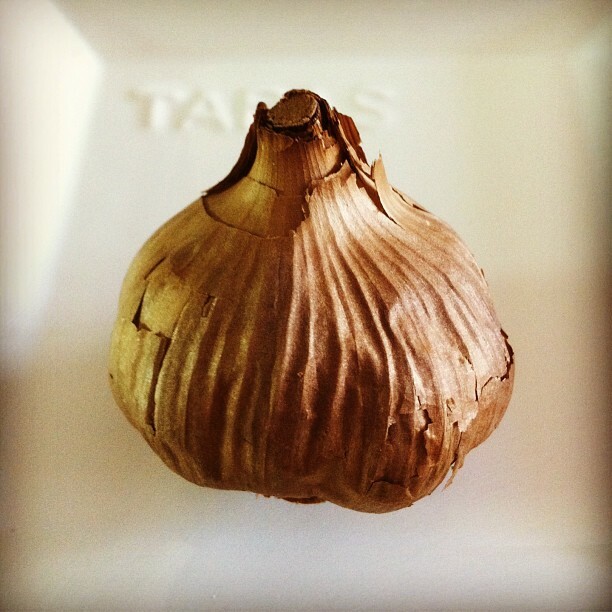 Black garlic is fermented garlic. That is to say it has changed both color , flavor and texture. The gaps are black and jelly -like . The taste is quite unique, Mellas tasting sweet balsamic character with a liquorice tone. You feel a very weak soft tint of garlic. As can be likened to umami, “the fifth taste “. And I want to remind you to keep on following this blog for the contest will starts soon. Sounds more advanced than it is . Heat the oil on medium heat. Add the garlic cloves and let them get browned in oil for about 5-10 minutes . You will feel a slight odor of the black garlic. Meanwhile, salt and pepper to the chicken. Mixing permasan and Panko together . Then turn down the chicken in egg and then in Pankon . Raise the heat and add the chicken in the pan until golden. Flip and cook until the other side until it got a beautiful color. Serve. Chicken Piccata with Black Garlic and Long Pepper . I just used up my last clove of black garlic in tomato sauce 😦 Oh well, looks like now I have an excuse to buy another!